New study conducted at Indiana University proved that genetic polymorphisms promote plaque deposition in the brain much before symptoms of cognitive decline appear. 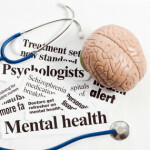 The study examined data from 600 patients who suffered from ‘subjective cognitive decline’. This is defined as people who complain of having slipped mentally in the past few years, but when given standardized tests to measure cognitive function, have results within normal ranges. They are said to have ‘significant memory concerns’. The paper’s authors, led by Shannon L. Risacher, Ph.D., and Andrew J. Saykin, Psy.D., compared polymorphisms in APOe4, a gene implicated in the pathogenesis of Alzheimer’s with other genes and found biomarkers associated with deposition of plaque like increased levels of amyloid plaques with corresponding decreased levels of amyloid precursor proteins in the CSF appear earlier than symptoms. Tau protein levels were also raised. However, there was no sign of brain atrophy, or decreased glucose metabolism, as is present in advanced stages of disease progression. 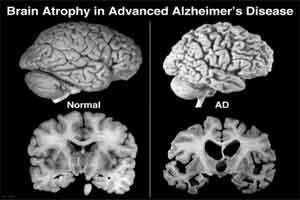 Deposition of AB proteins in the form of plaques is the fundamental defect in Alzheimer’s. These are directly neurotoxic, and can block long term potentiation (involved in memory) and other membrane potential changes. Inflammatory reaction to the amyloid causes further dysregulation of the phosphorylation of tau protein, along with oxidative damage to the neurons.